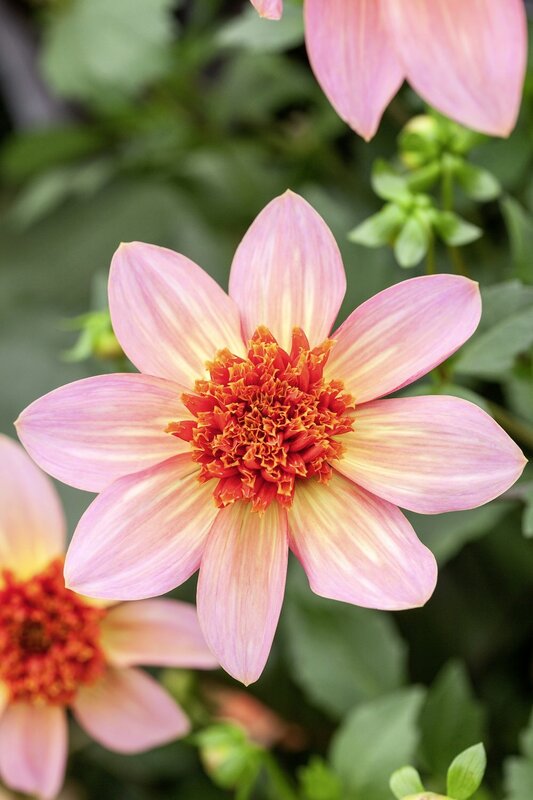 Dahlias make beautiful specimen plants in pots; let them shine in the container on their own for some excellent patio flower power in summer. 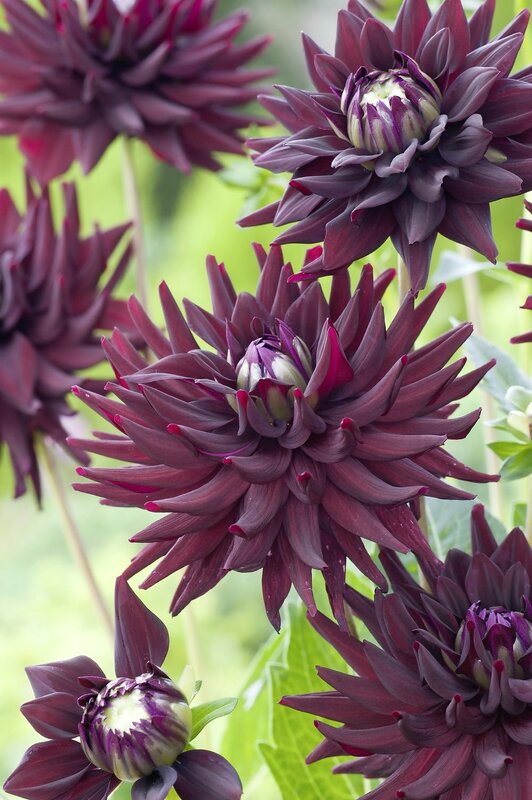 However, to thrive they need more care than when they’re planted in open ground. 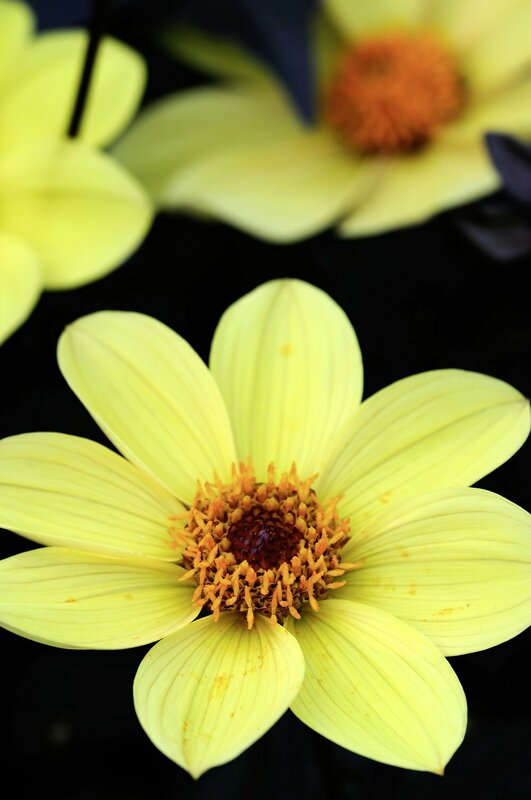 Set one tuber around 10 to 12cm deep in a pot of good multipurpose, sprinkled with a little blood, fish and bone or Growmore in the planting hole to set it off. 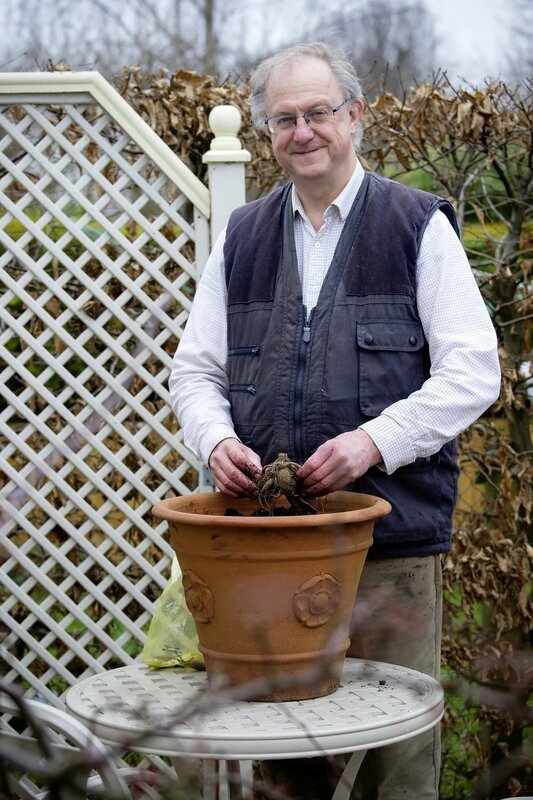 Cover over your tuber with compost and put the pot in the greenhouse until May if you live in Scotland or northern England, or in a sheltered, sunny spot outside in southern counties. 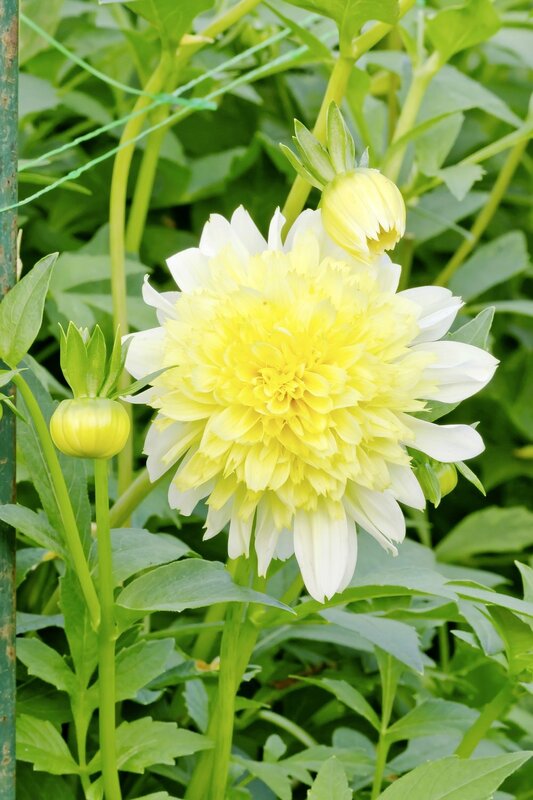 Now, dahlias are extremely hungry and thirsty feeders in pots, which is easy to tell by their demeanour; big, blowsy flowers and thick fleshy stems and leaves mean they need food and drink regularly! Water them really well, ensuring it drains well too. Once plants are established and start to bud up, give them a regular high potash feed (such as a tomato food) every week or so until early autumn. See below for compact varieties to grow in pots.